The expectations for a Real Housewives reunion are pretty high. Do the women always deliver? Unfortunately, that is not the case every single time. It’s tough to predict, especially during a so-so season of Real Housewives of Orange County. It is a lot better than Season 12, but that’s really not saying much. Sure, Vicki Gunvalson and Kelly Dodd got into that elongated fight about the secret double dates. Plus Kelly admitted that they are not on speaking terms, so seeing them in the same room should be interesting, but not too much went down beside that other than Shannon Beador’s breakdown in Jamaica. Hopefully there’s more for them to discuss from the tail end of the season, but the anticipation of drama is at a low point in comparison to other seasons. 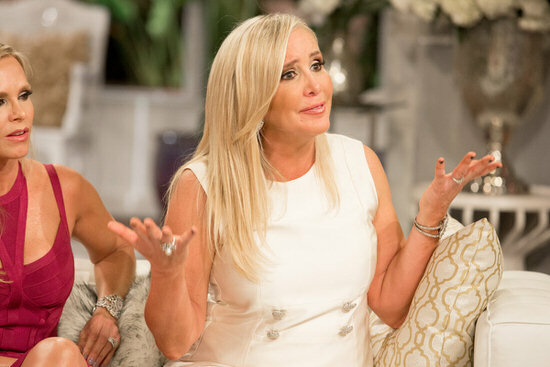 Last night was FINALLY the end of the Real Housewives Of Orange County reunion and it was sponsored by Shannon Beador‘s many factions to Hawaii. The one thing I learned is that Vicki Gunvalson really needs to consider a career in politics because she can twist words and spin like no other. It’s rather impressive in some bizarro universe led by Andy Cohen and morality policed by Heather Dubrow. The reunion starts with a ride back in time to Glamis. The ladies watch the ATV flip time and time again. Just so you know… Heather escaped injury because she even does car accidents perfectly and better than you. This season of Real Housewives of Orange County may be basically over, but Meghan King Edmonds still has a lot to say – mostly about Vicki Gunvalson. David and Shannon Beador turned to Facebook to share their thoughts on part one of the Real Housewives of Orange County reunion. (Warning: the chat is a live stream, where they answer questions from followers as they pop up, so there’s no flow to the chat.) 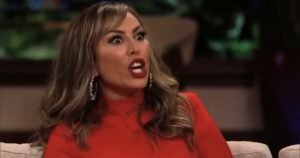 In addition to the reunion, Shannon dished on where her friendships with Vicki Gunvalson, Heather Dubrow, Meghan King Edmonds, and Tamra Judge stand today.